LIKE OMG WTF BBQ LOL BLIND IN ONE EYE SO HOT LOVE HIM!!!!!!!!!!! This is very very good. I love how you can tell that he's blind without the eye being completely blank. I know..I was shocked to learn that as well. Nice picture, the expressions is totaly Syaoran. 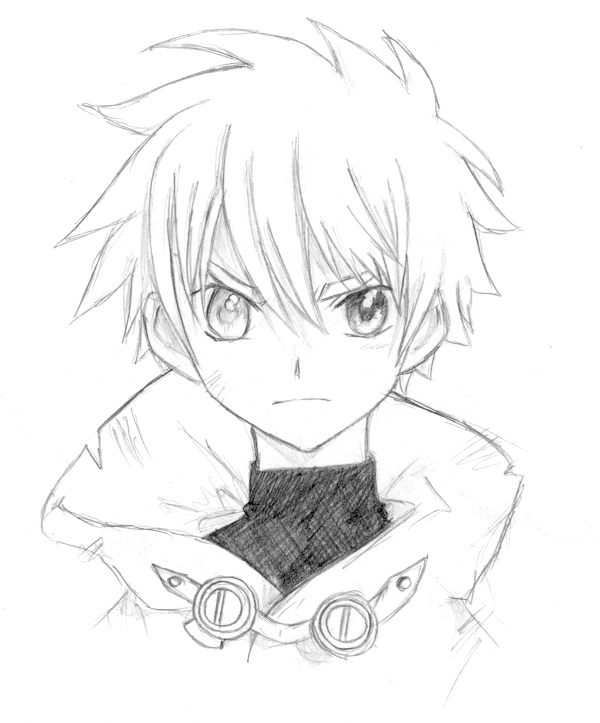 oOo very nice sketch.. it looks just like him xD And... the blindnesss~ T-T Poor syaoran! wow ur totally awesome xd!!!!!!! man i've heard people say they were all good but u r totally betta!!!!!!!!! !